Well, our goal is to make the fantastic look as real as possible. 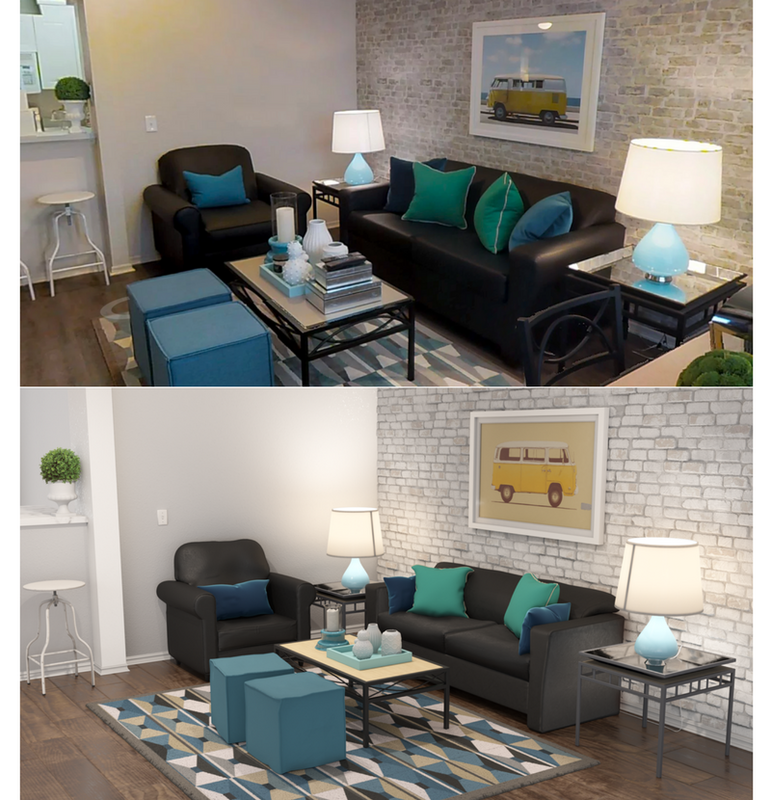 In the picture above, the top is a photo, and the bottom is a rendering. To produce the realistic rendering, we used a different lighting and material process called "physically-based rendering," or "PBR" for short. The video game industry has been using PBR, and the concept is making its way to architectural visualization. The online magazine CGArchitect.com recently published an article detailing the concept and its workflow. It's highly recommended if you're interested in the details of PBR. 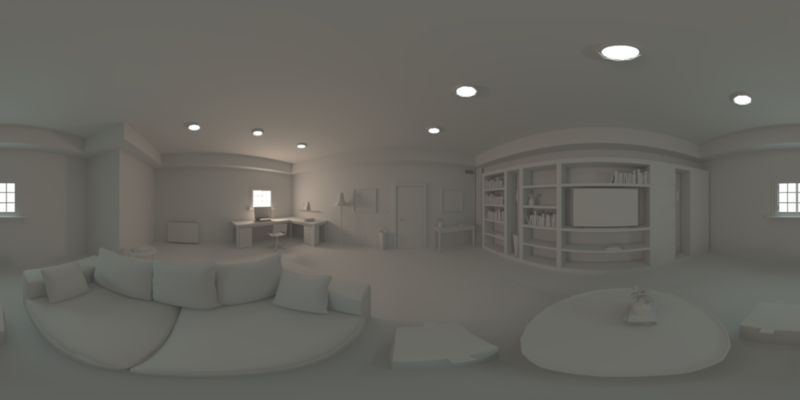 A static rendering, however, requires less technical considerations than if the scene were to be "navigable," video game-style, which would require "real-time PBR." More difficult still is the ability to run the scene on mobile phones, which are much less powerful than a PC. The team at uForis has been experimenting with real-time PBR in our proprietary engine, and the scene we have been using is pictured in black-and-white below. To make this scene run smoothly once it is fully decked out with materials and lit properly, many optimizations need to be done. The more complicated a scene is, the harder it is for a phone to run. The uForis team is optimizing the materials and the engine, so users have a smooth experience that's representative of what it's like to be in the space. © 2018 uForis VR, Inc. All rights reserved.